Anyone who depends on organic search for traffic already knows about Google’s Panda and Penguin updates, but what is the impact for them? For years Google would reward newly launched websites with good search engine rankings if the webmaster adhered to a steady protocol of link building. Of course there would be some who would abuse this system, but for the most part folks who built good content rich websites needed a boost in the beginning, and solid backlinking practices were acceptable for years, that’s until Google decided to change the game. There is no doubt the Internet has been cluttered with websites that were to put it bluntly Junk. There are also many websites that were abandoned, half finished, and many that were empty shells just left to gather cyber dust. So, Google was forced to do something to try and clean up this mess. To a degree the Penguin update did accomplish this, the forums were full of opinions that niche sites, especially ones that were overly populated with ads, were the sites being penalized. The new wave promoted building larger authority sites, these were the sites that Google would show favor to going forward. Things didn’t quite work out that way. 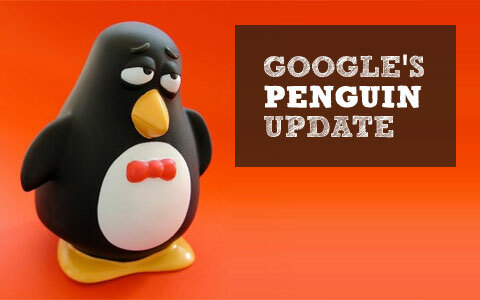 As the Penguin updates unfolded many SEO experts were taken by surprise. Not only were niche sites being knocked down in the rankings, but some authority sites were vanishing from their long standing first page rankings too. The baby was being thrown out with the bathwater as they say. Now, when taking on a task of this magnitude you would expect some flaws in the system, but from all the comments read there was wide spread impact on a variety of good websites. These are websites that were established and widely respected. For folks that depended on organic search traffic from Google the financial impact was widely negative. Webmasters that had years of steady income, and others who had been building their online business with increasing revenue saw it come crashing down literally over night. Some of the complaints hinted at actually suing Google for this loss, whether this happens still remains to be seen. This is actually a good wake-up call for diversity. Depending on Google for the majority of traffic to sustain an online business model has exposed the risks as to who really controls your online business. Google will iron out some of the wrinkles it has created, but can you afford to put all your eggs in one basket going forward if creating a viable online business is your goal? Google has publicly stated that they use social media signals as factors in their ranking algorithm. In order to both diversify and solidify your rankings in Google, running active social media campaign and maintaining social profiles is now essential. How many friends do you have? How many Facebook likes? Are people retweeting your posts? Has your content been bookmarked and emailed to others? How active is your Google Plus profile? Start socializing now and “google-proof” your website’s traffic. Marcela De Vivo is a technology writer and SEO based in Los Angeles. She currently works with ProcessSensors.com writing about technology and industrial solutions. You can follow her on her blog at MarcelaDeVivo.com to stay informed on the latest in SEO.